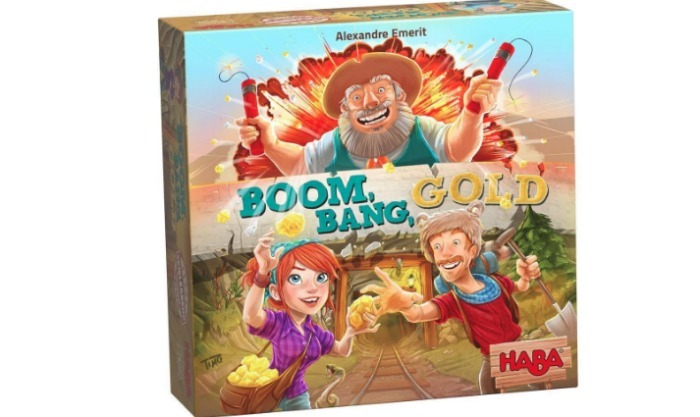 We LOVE family game night around here and that’s why I’m so excited to share that we have partnered with our friends from HABA to bring your our top picks for favorite family board games this holiday season. Staying connected with our kids as they grow older is a huge goal of ours, and we find that family game nights help to keep us engaged and interacting with our kids. Plus, they provide great entertainment through the holidays and other gathering times. 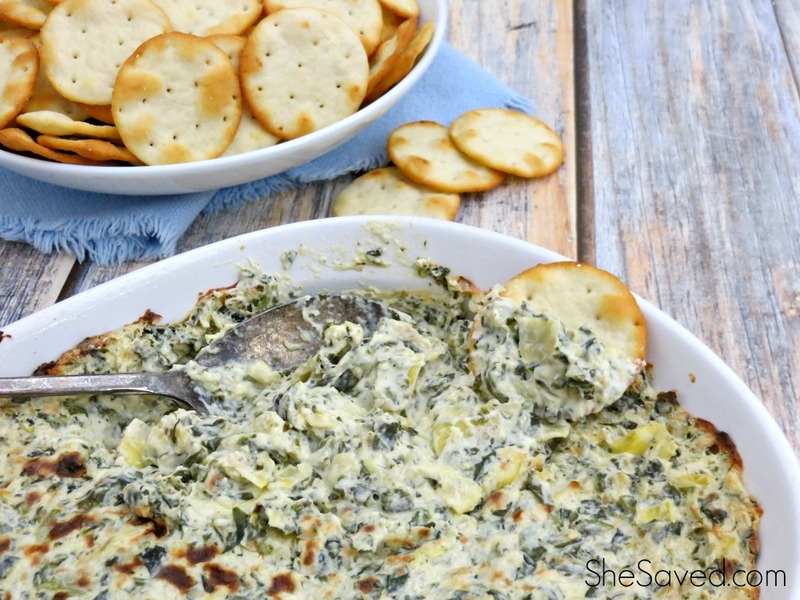 Nothing beats giggles and friendly competition around the table. 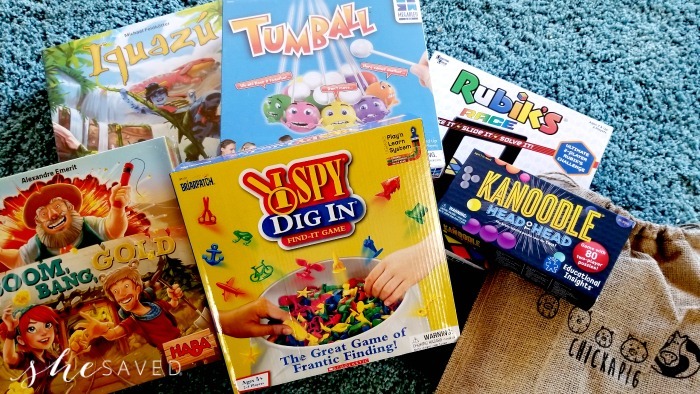 While these family games are certainly fun ALL YEAR ROUND, National Games and Puzzle Week is also just around the corner (November 18-24, 2018) so make sure to be ready by adding a few of these additions for your game shelf, perfect for all ages and stages! The Inox people of Land of the Waterfalls have been living a peaceful life but now there is a dangerous threat: The Evil Rhujas who are roaming their land capturing gemstones, forcing the Inox people to hide the gems in the hardest and most dangerous places. As a player you must skillfully play your cards to place the gemstones in the best spots. The player who can hides their stones best, wins. 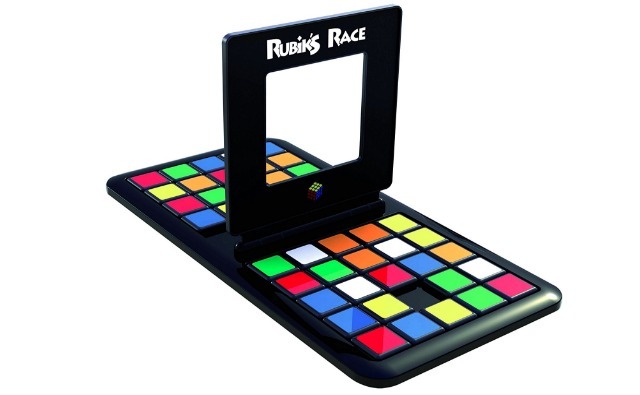 Rubik’s Race is a fast-paced, highly competitive game for two players – shake the mini cube, slide the Rubik’s tiles and be the first player to match the pattern. It’s the ultimate head-to-head brain challenge! 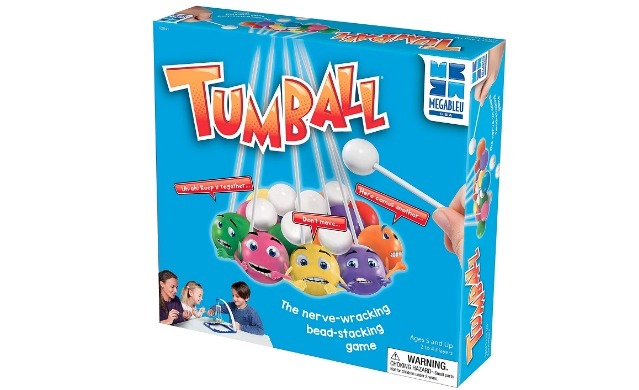 Tumball is the ultimate nerve-wracking bead-stacking game! To win Tumball, carefully place all your white beads on top of the suspended colorful balls using the wand. With every bead you add, the colorful balls become more unstable. If you push your luck too far or make one false move….TUMBALL! 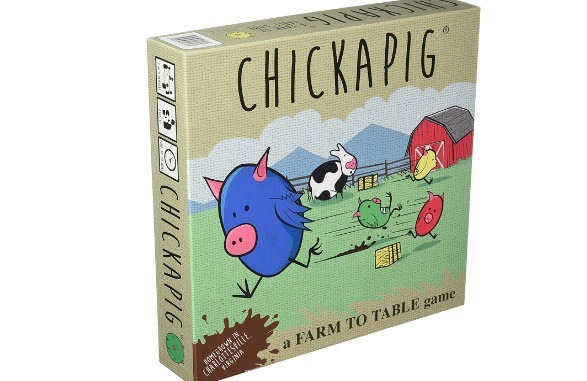 Chickapig is a highly social and strategic board game (for kids and adults) where Chicken-Pig hybrids attempt to cross the board and reach their goals while dodging opponents, hay bales, and an ever-menacing pooping cow. It’s easy to learn but serious chess-like strategy with just enough luck to keep everyone competitive. 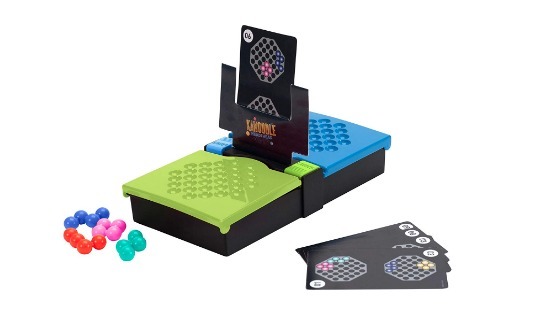 Perfect for 2-4 players, works great with teams or as a party game! 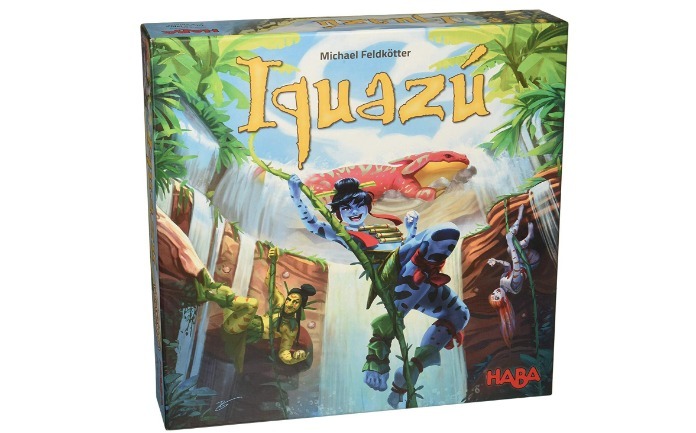 From Educational Insights, this two-player game has 80 puzzles to complete. Super fun and just the right amount of challenge. Enter to WIN all of the games shown above! I’m excited to share that ONE lucky She Saved reader (US only) will win a prize package which includes ALL of the games shown above! I will leave this giveaway open until November 15th at midnight (mnt time) … once closed, I will select one winner who will have 48 hours to contact me to claim their prize! GOOD LUCK!! Would like to play Rubik's race. I would like to play Rubik’s Race most of all. I'd love to play the Rubik Race. Tumball would be fun for Little Princess and Mark. I think the Chickapig game would be fun to play. Chickapig Board Game looks like great family fun! I’d love to play the Rubik’s Race game. I'd most like to play Rubik's Race!